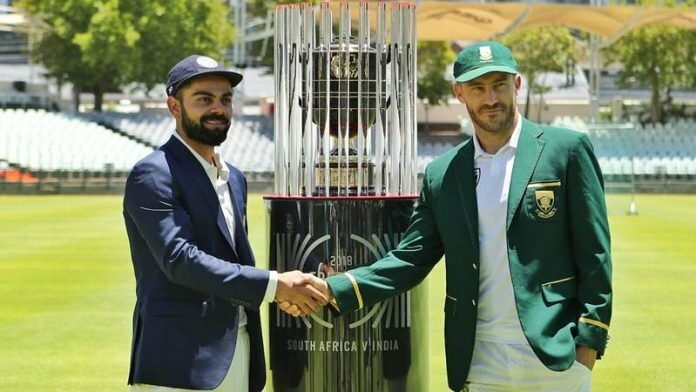 The Indian cricket team and the South African cricket team are going to have a tug of war. All this is with the advent of the three-match India-South Africa Test series beginning in Cape Town on Friday. Both sides are full of star players, who have been the game-changer for their side. Hence we take a look at the five such performers from each side. Whenever the Indian team steps into the field there is only one player who always grabs attention. That player is the newly married skipper, Virat Kohli. This star batsman now would love to hit his purple patch in international cricket all over again. The bouncy African pitches would give Kohli the reason to stroke-play in all corners of the fields. Hence he will relish playing on them. 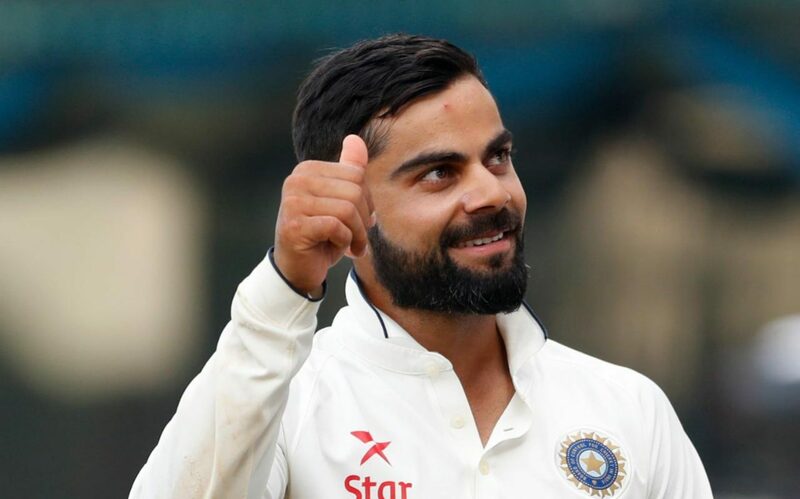 As a captain, the India-South Africa Test series reflects the paramount importance for Kohli. India have never tasted victory in a Test series in the Rainbow Nation. Given his captaincy credentials of winning nine Test series on the trot, these series wins against South Africa would lead him becoming India’s best captains. After Rahul Dravid, Cheteshwar Pujara has been the only Indian batsman who sounds the most technical. He left behind a very successful 2017 where he was second only to Australian skipper Steven Smith in terms of the number of runs scored in the calendar year. 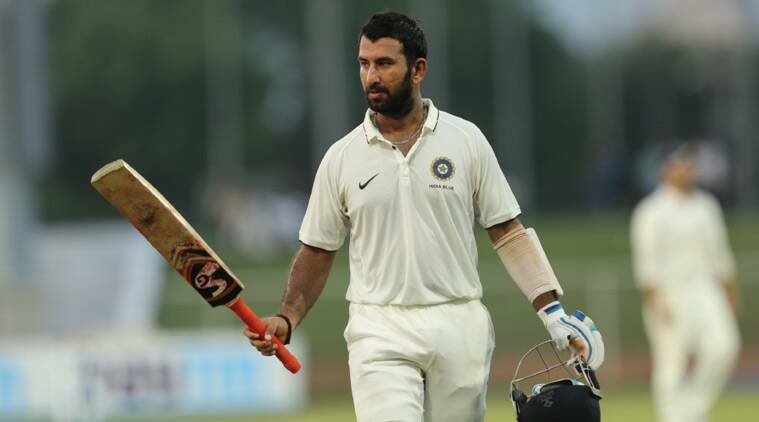 Having most of the Indian middle-order batsmen tending towards stroke making, Pujara is the only one who carries the responsibility of steadying one end with his rock-solid defense. Pujara can bat for prolonged hours. And India would definitely require him to tire South African fast bowlers. If he can do that, it would boost India’s chances in the India-South Africa Test series. 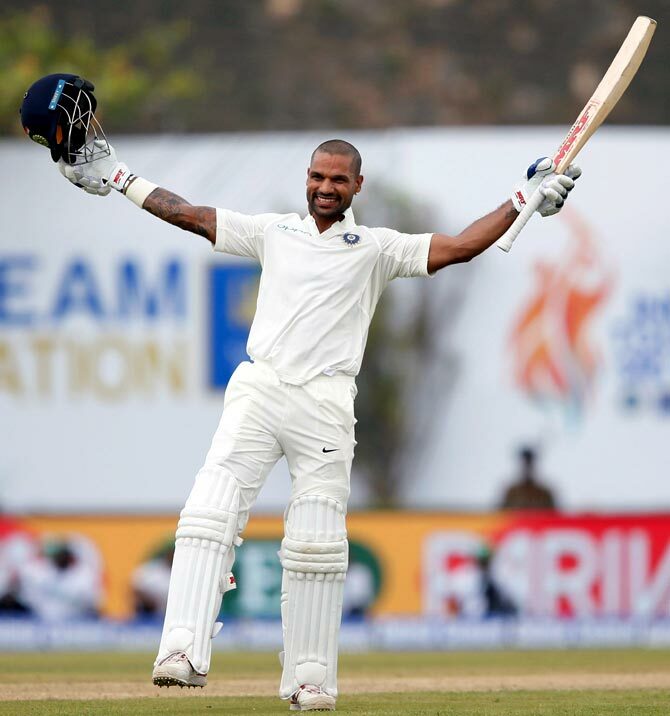 It has already been proclaimed that Shikhar Dhawan would be Murali Vijay’s partner in the Test series. 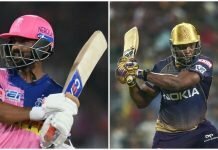 Though Vijay has a better technique, Dhawan on the other end could be lethal in changing the course of the match in a single session. Who will forget his whirlwind hundred against Australia on debut in Mohali in 2012-13? Dhawan has always been fond of having the ball coming onto his bat. And South African pitches will give him exactly the same to free his arms. From an Indian perspective to stamp authority on the hosts he has to turn on his destructive mode against South Africa. He will be up against the South African troika of Kagiso Rabada, Dale Steyn and Vernon Philander at the top. In the India-South Africa Test series, Dhawan would have to be careful on shifting his aggression with caution as in the past he has often lost his wicket playing loose shots. Bhuvneshwar Kumar, along with Mohammed Shami, is expected to open the bowling for India. 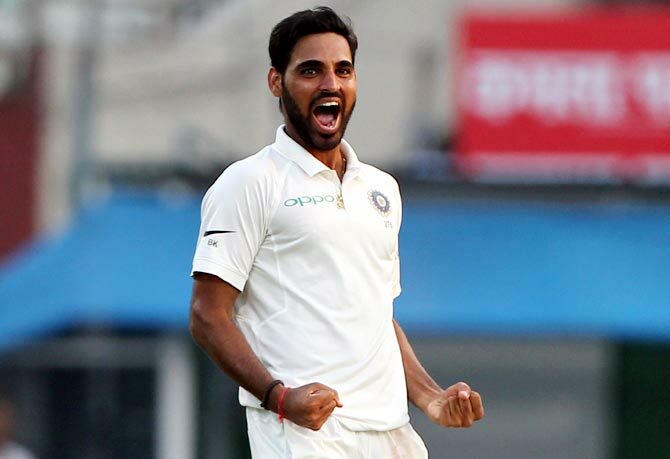 during Shami’s absence, Bhuvneshwar has been the only key performer for India’s Test victories both at home and away. Being an exponent of swing and on tracks offering help to seamers, Bhuvi can wreak havoc. His form is going to be really crucial for India’s chances in the India-South Africa Test series. Umesh Yadav has been India’s winning card in South Africa. The lanky bowler carries the ability to bowl fast. And he also possesses the potential to get the ball risen to an awkward height from a good length. Though he didn’t take plenty of wickets in the last season, he performed outstandingly well on Indian pitches that didn’t offer much resistance to him. Especially considering his previous spell against Australia in the second innings of the series decider at Dharamsala deserves a special mention. Since South African pitches would have plenty of bounce and carry, it would be interesting to witness how Yadav can create a lot of trouble for the hosts pitching the ball in the right areas. He is one pacer to watch out for in the India-South Africa Test series. Known as a 360-degree batsman for his ability to play strokes anywhere on the cricket field, AB de Villiers is to South Africa what Virat Kohli is to India. 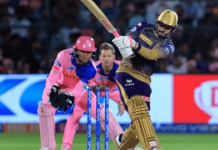 However, he does share a great friendship with Kohli as the two play together for Royal Challengers Bangalore (RCB) in the Indian Premier League (IPL). But with the advent of Test series, he would definitely come out hard at the Indians with the bat. 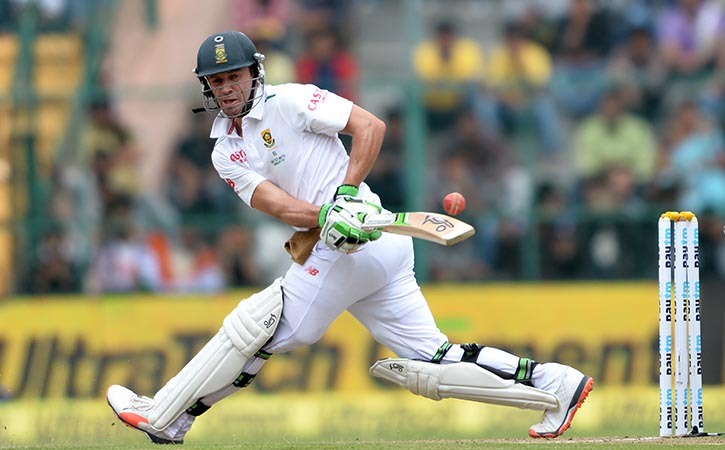 De Villiers was away from Test cricket for 23 months due to a back injury. He made a comeback with the four-day Test against Zimbabwe a week ago. He would look to get back into his groove and start dominating the world of cricket. The same way he had done prior to the injury. He will start with the India-South Africa Test series. It won’t be an exaggeration to call Quinton de Kock the Adam Gilchrist of the current era. Among all the wicketkeepers playing at the moment, he is probably the best batsman. A swashbuckling batter, De Kock can take the game away from the opposition while batting lower down the order. De Kock has always been a capable stumper and played a key role in South Africa’s Test series win in Australia in 2016. He turns out to be very lethal when it comes to facing Indian bowling attacks. Going by his previous stint, five of his 13 ODI hundreds have come against India. He would now look to do the same in the longer version of the game. India needs to be careful of him. When India take on South Africa, all eyes would be on speedster Dale Steyn. He is making a comeback to international cricket after a long lay-off due to injury. Regarded as one of the best fast bowlers to have ever played the game, Steyn is capable of finishing a match in one spell. Over the years, he has been an architect of many a famous South African win. His bowling was at heart of South Africa’s first Test series win in Australia and England since their readmission to international cricket. He is one of few overseas bowlers, who tasted success in Indian subcontinent too. After all, who could forget his match-defining spell of 7/51 against India in Nagpur in 2010? 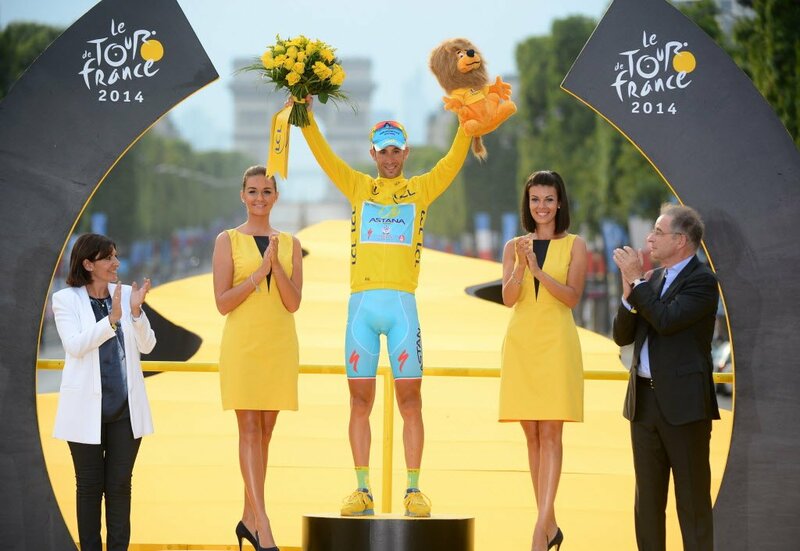 However, it would be interesting to see if he gets back to his best straight away. If he manages that, Indian batsmen have a lot to worry about. Tall and fiery, Kagiso Rabada has already inscribed a colossal name for himself in the international arena at a young age of 22. His strength is his genuine quickness and having bounced from the wicket. In the absence of Steyn, he was the one forming the lethal combination with Vernon Philander over the last one year. In fact, only Nathan Lyon took more wickets than him in 2017. Hence, Rabada would love to continue his dream run with the ball going ahead in the New Year too. With subcontinent batsmen not being accustomed to playing on bouncy pitches, Rabada would definitely have an edge. 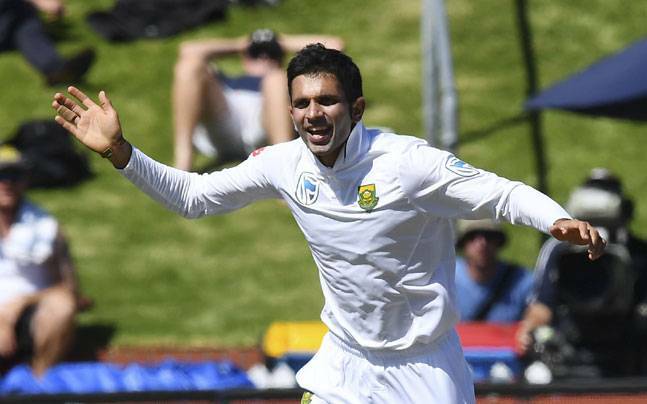 Keshav Maharaj, having roots in India, has emerged as South Africa’s leading spinner in Tests. This left-arm orthodox bowler, Maharaj has bowled well even in Australia where visiting spinners have had a haunting history. In his debut match at the WACA, he claimed 3/56 that included the wicket of Aussie skipper Steven Smith, besides scoring an unbeaten 41 to help the Proteas win a series Down Under. As Indian batsmen have always been the pros when it comes to facing spin bowling he would certainly look to go after the young tweaker. However, Maharaj has done well so far against top batsmen of the world and he would love to do the same against players from the country of his ancestors.